Playing host to over half the distilleries in Scotland, Speyside has the greatest concentration of malt whiskies compared to the other whisky-producing regions – the Highlands, the Lowlands and the island of Islay. The concentration begets competition and competition begets marketing. Balvenie and Macallan are arguably amongst the finest practitioners of the art of persuasion and Balvenie engages its audience, actual and potential through various media channels. 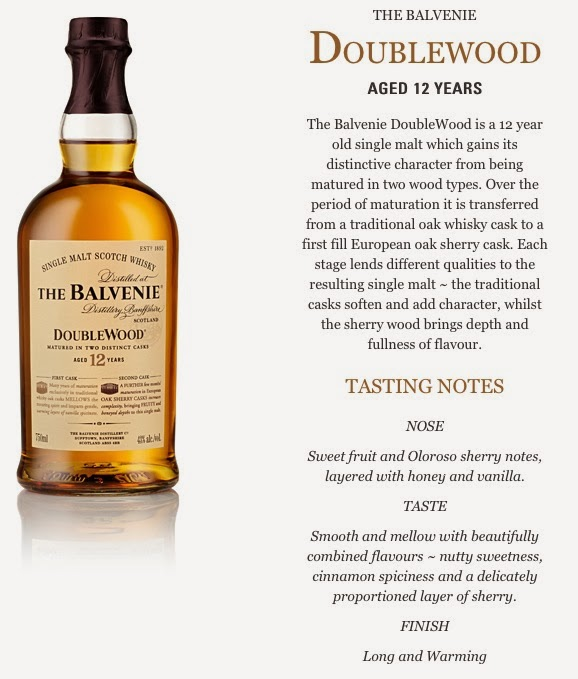 Case in point: below is an appealing video for The Balvenie 12 Year Old Doublewood featuring Sam Simmons, the brand's Global Ambassador, and David Stewart, the distillery's Malt Master for 50 years. All tastings are ultimately subjective but the here is what we took away from the famous malt, aged 10 years in a traditional American oak whiskey cask and then another 2 years in Spanish (ex-sherry) oak casks. Nose: Fruity and inviting minced pie, reminiscent of a Dickensian Christmas where the upper classes enjoyed the sweet treat replete with sugar, raisins, cider and vanilla. Taste: Very smooth with a bit of nutmeg and caramel. The sherry influence was definitely apparent in our estimation. 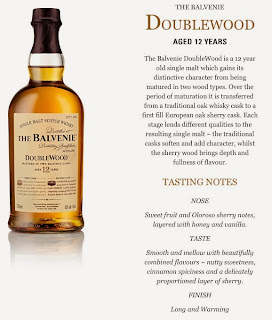 Pair with dessert and think of this dram is a good digestif. Short finish: this is not a single malt you want to leave in the glass and let linger as doing so will diminish the taste. A single malt to introduce to a beginner, it is also appropriate for the palate of someone who is first and foremost a wine lover. Made in: Speyside, Scotland, United Kingdom by: Wm. Grant & Sons Ltd | 40.0% Alcohol/Vol.